Evo & Grace: The WanderLusts: What's inside the Dressing Room? The 43rd Season of Dulaang UP definitely has a great line up of Plays. 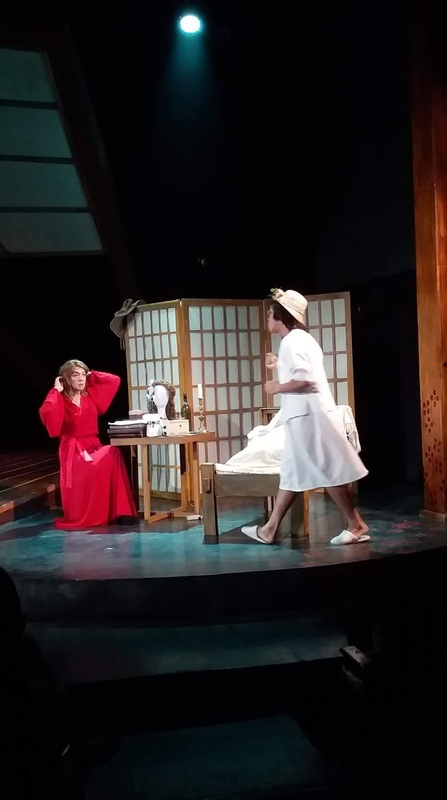 For their second offering , Dulaang UP chose to stage a play about the theater, a 1997 Japanese play called "The Dressing Room" by Shimizu Kunio. As DUP usually does, they would be staging in parallel both an English and a Filipino version of this play. The English version was written by Chiori Miyagawa, as adapted from the original English translation by John Gillespie. 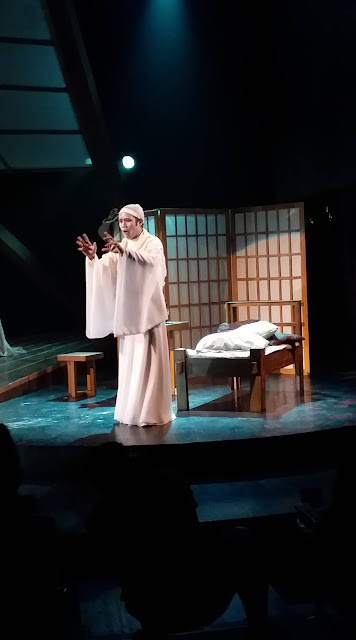 The Filipino translation is by multiple Palanca award-winning playwright Nicolas Pichay. Always making sure that they push limits, Dulaang UP also pushes the envelope further by innovating on the casting as well. The original play involved four actresses playing the four actress characters. The English version will stay faithful to this casting. To put a twist in Filipino version, however, the four actress characters will all be played by male actors. I believe this is a great way to kind of put things into perspective. The dressing room is literally where the action of this play is set. 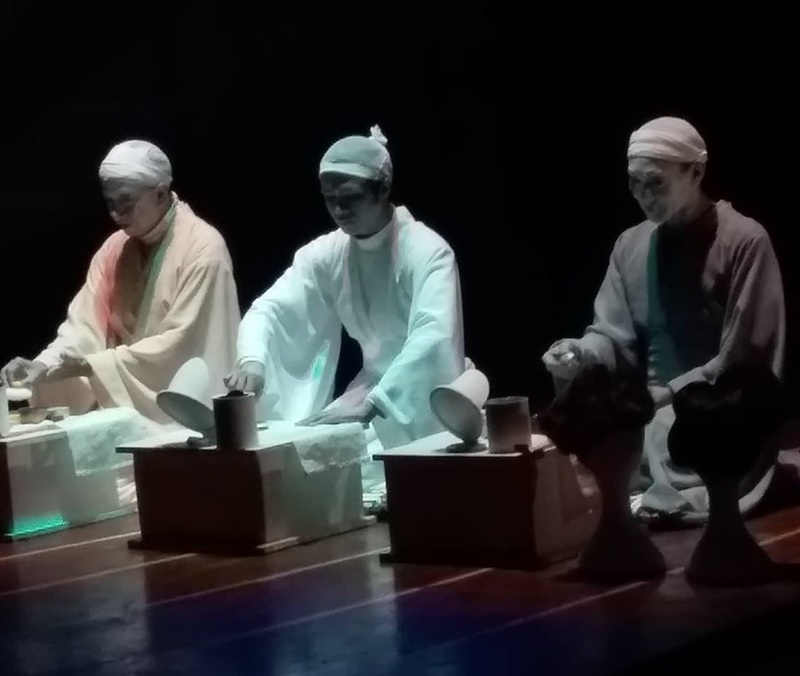 Initially, we see Actress A and Actress B dressed in Japanese-style robes, sitting in the middle of the stage in front of their respective box tables, applying white makeup on their faces. Suddenly, Actress C will enter dressed in Victorian finery, rehearsing her lines. Much later, an Actress D will come into the room to tell Actress C that she wants her role back. 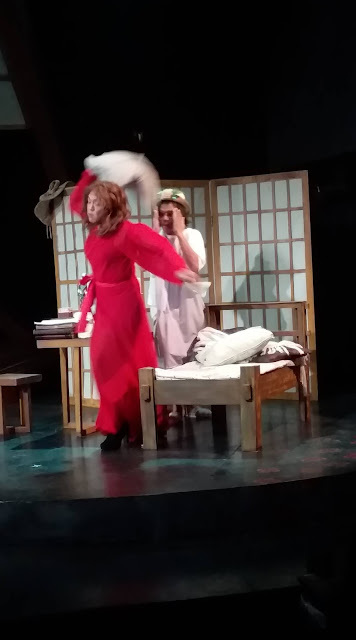 The whole play will be about the actresses' musings about Shakespeare and especially Chekhov as they reflect on the passions and frustrations they have about their acting careers. Theater actors and theater fans will definitely fall in love with the intense love for theater espoused by this play. When sentimental Actress A and acerbic Actress B have an acting showdown playing Lady Macbeth, the effect was electric. This was even though some essence had been lost with the translation as the difference between two Japanese adaptations should have been highlighted (but obviously could not be conveyed in Filipino). Familiarity with the history of Japanese theater will enhance appreciation since the original Japanese play assumed the Japanese audience it targeted already knew. The Dressing Room will run at the Wilfrido Ma. Guerrero Theater until November 25, 2018.Make sure to catch it.